Nonwovens is a sunrise industry in India and holds a huge potential in various applications spread across a plethora of industries. The recent year-to-year growth in the manufacturing sector in India has been close to 15%. More importantly, there has been growth in the non-durable goods sector. Most of the non-durable goods are nonwoven products and this sector has immense potential of growth in India. According to recent statistics from the USA based Association of the Nonwoven Fabrics Industry, due to the explosion in the number of disposable income group in India the nonwoven industry in India is expected to register a growth of over 12.4%. With the increase in disposable incomes, the need for life enhancing products, automobiles etc. increases. These products are a perfect fit for nonwovens. The automobile industry is expected to growth over 20% and with this, the use of nonwovens. In addition, the growing economy in India has a huge tendency to firmly support the growth of non-apparel textiles such as nonwovens in applications such as geotextiles, insulation systems and medicated goods. Given our presence in the market since 1990, KK NonWovens (India), established in 2004 has since become one of the leading Manufacturers and Importers of various woven, nonwoven, knitted and water soluble fabrics and interlinings in the Indian textile industry. Our product portfolio ranges from spun bonded and chemically bonded nonwoven fabrics to thermally bonded and needle-punched nonwovens, water-soluble PVA films to warp and weft knitted interlinings and fabrics. We specialise in sourcing and manufacturing an impressive range of fabrics for a wide variety of applications such as interlinings, filtration systems, medication and waterproofing fabrics and geo-textiles. KK NonWovens (India) set up the first-ever (PP) spun-bond nonwoven plant in the Indian subcontinent, at the heart of the industrial valley in Himachal Pradesh; and was the first organization to produce Spun-bond Nonwovens in India (Other than 1 EOU). Our market coverage spans the Indian sub-continent with a clientele across the region, ranging from states such as Jammu and Kashmir in the north, to Tamil Nadu in the south. Our organization serves the Hygiene, Medical, Filtration, Apparels, Packaging, Furniture & Upholstery and the Agriculture industries; bringing design, engineering, production and most importantly, excellent quality and service to our customers. With over 500 customers across India, KK NonWovens (India) is one of the largest nonwovens and fabrics manufacturing and trading organizations, across the country. We exhibit our products all across the East and South-East Asia, as well as throughout the subcontinent. 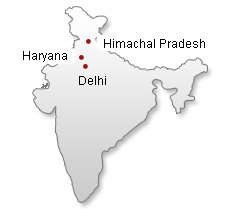 Our offices, factories and industrial units are based out of Haryana, Delhi and Himachal Pradesh. Our high capacity industrial plants are equipped with state-of-the-art machines helping us take rapid strides in the industry through constant innovation hence achieving high standards of excellence over the past two and a half decades. Today we have the expertise and the manufacturing flexibility to develop products as per specifications and the application based demands of our customers. With multiple production lines of robust machine equipments being used for manufacturing a wide variety of products such as spun bonded polypropylene, chemically bonded embroidery, backing paper, paper foams, polyester viscose linings, surgical masks to name a few we maintain stock for our products in various sizes, specifications and densities (grams/meter square) ready for delivery. Our team comprises of highly proficient and skilled individuals, including mechanical engineers, machine operators, client service executives, procurement associates, quality managers, warehousing and packaging managers, and marketing professionals. Each and every member of our team possesses an in-depth industrial knowledge, to maintain and enhance the quality of the service and products we supply. Under the leadership of our esteemed Managing Director, despite different geographical locations, our staff members work in close coordination with each other, to meet our client’s expectations on a timely basis. We conduct special training sessions for our workforce on a periodic basis, to make them aware of the various parameters and procedures involved in our day-to-day business activities. Furthermore, we have a huge network of distributors and suppliers who partner with us, thereby generating potential opportunities for massive expansion, across all the major cities of the nation and to cater to large markets across the Indian sub-continent. To us, it's not just work - we take pride in the quality of products and the solutions we deliver. We encourage each other to achieve excellence in all our endeavours and aren't satisfied until projects meet our own personal high standards. -	Collaborating with Textile Testing Laboratories such as NITRA, BTRA and TUV-SUD for regular quality checks to be conducted on our products, which are ISO and Oekotex certified. We consistently uphold the quality standards for our products and supply interlinings that are REACH compliant. To know more, please visit the Quality Assurance Page. thereby reaffirming our customers' and our partners' belief in us. Setting us apart from our competitors is the satisfaction that our clients feel once they work with us. Over the years, we have provided personalized service of the highest quality to each of our clients and by having flexibility in various aspects of the business we have met our clients' needs consistently on cost, time and quality. 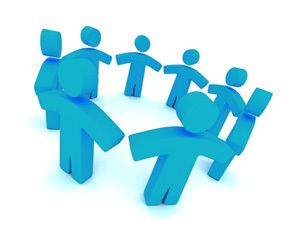 We strive for building close and healthy relationships with our clients and follow transparent business ethics. Our biggest clients have been working with us for the past 15 years. Their unwavering trust and repeated orders is a testimony of our reliability and our service. We promise to deliver best quality products at cost-effective pricing to our clients. Tomorrow, we will be here for you. We are not a flash-in-the-pan company. We have seen other companies come and go and we plan to still be here, years from now. We survived and thrived during the global recession and the economic crisis, when some of our competitors buckled and folded under the pressure. Our history speaks for itself. We offer office-based support, available from 9AM to 6PM Monday to Saturday; that said, we are a no-nonsense team and will always cater to your requirements promptly. We also provide an Issue Tracking System where any quality-control issues can be systematically registered for resolution and the progress of the resolution can be tracked throughout. With KK NonWovens (India), not only will you receive a world-class product, but you will also have gained a partner who will do everything he can to ensure your success in the market, provide advice and suggestions based on the experience, when requested. Simply fill in our Contact form, or send us an email at info@nonwovensindia.com to get your project rolling today. Send us your enquiry to order or to request for a quotation, and set up an appointment with us, to get a feel of our product samples. We are sure that you won't be disappointed.